Amazon is known for innovative gadgets and for also for revolutionizing any segment that it enters. It is one of the most popular online portal for buying and borrowing e-books to be read on its Kindle e-book reader. All e-portals either let the users borrow or buy a book and hence pay the author accordingly, but no e-book rental service pays authors on the number of pages read by the user. This is actually a big issue for those authors for write long books having quality content. Up till now, those authors were also paid similarly to those who wrote just about anything, no offense intended. 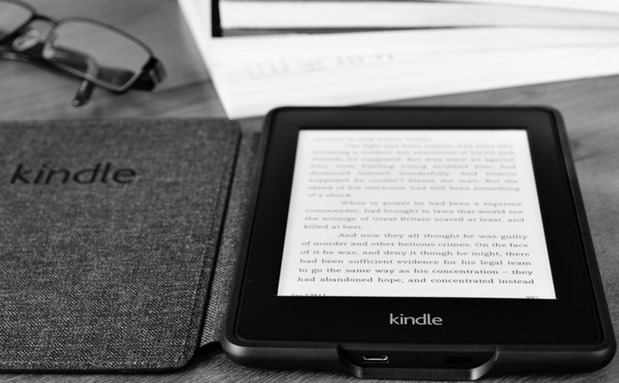 This new pay/number of pages read revenue model will only be applicable to authors related to Kindle Unlimited (KU) and Kindle Owners’ Lending Library (KOLL). This will be effective from 1st July 2015. Amazon notes that this change in payment system is in response to the feedback that Amazon has received for paying the authors in proportion to the number of pages in their book and the number of pages read by the readers. How Will It Affect The Authors & The Books? Amazon will use Kindle Edition Normalized Page Count (KENPC) for counting the number of pages in the e-books. The KENPC will calculate page numbers based on font, line height, and line spacing which will be constant throughout the book. So, no author would be able to stuff his book with images and non-text materials just for increasing the page count. For calculating the number of pages read, KENPC will use Start Reading Location (SRL) and the page till where the user has read. The SRL is typically set at the first chapter of all books so that the user can directly start from the core of the book. This generalized approach will be valid across a number of genres and will count non-text content such as images, graphs, and charts towards the actual content of the book. However, this new system will bring in its own set of problems. One possible drawback of this method would be its effect on user manuals, industry guides, and textbooks which are seldom read till the end. Users only read that they want in those books and then move on to the next book. We cannot comment on how this KENPC method will work until its release. But one thing is sure, we will definitely see a large number of books being released with too many images, and extra textual content such as cliff-hangers, epilogues, and basically anything that will keep the readers hooked without adding much meaning to the story or the basic theme. For more information on KENPC method please visit Kindle Direct Publishing.